South Africa can be relatively on the cheap side when compared with some other countries in Africa. Among African countries, Luanda which is the capital of Angola is the most expensive city for expats to live in. 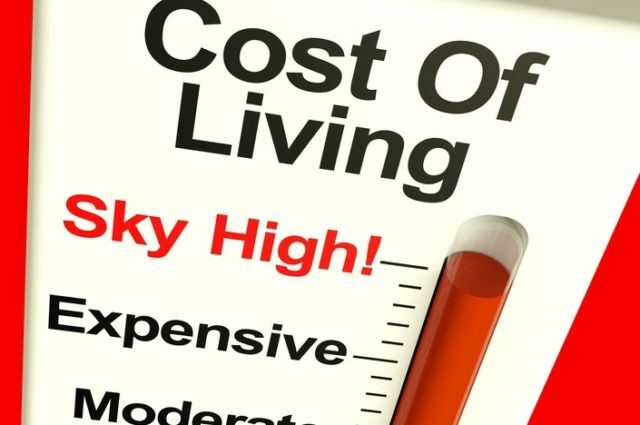 It is quite difficult to determine what the cost of living in South Africa can be as living costs largely depend on an individual’s spending habit, taste and to a great extent, where you are coming from. If you have a large appetite for luxury products then your living costs can be way up the roof. One of the best ways to decide what your living cost could be is to check through the major grocery stores like Woolworths, Pick n’ Pay or Checkers which have stores across South Africa, compare their prices online with what your budget is on a normal basis and see what difference it might make. It may also interest you to know that in South Africa, both Johannesburg and Cape Town (the most pleasant and lively places in South Africa) have a comparatively lower cost of living with respect to most other developed and busy cities across Africa and the world. It is a general thing that if you are coming from a country whose currency has a higher purchasing power, you would have a sense of the cheaper cost of living. These data are based on 13847 entries in the past 18 months from 1245 different contributors. Note that there are a lot of factors that affect the cost of living, therefore, these figures are not bound to remain the same over time.